Cape Epic founder Kevin Vermaak opens up about what makes the Cape Epic a world-class event, the legacy it leaves across South Africa’s Western Cape, and how he used Zwift to train for this year’s event. 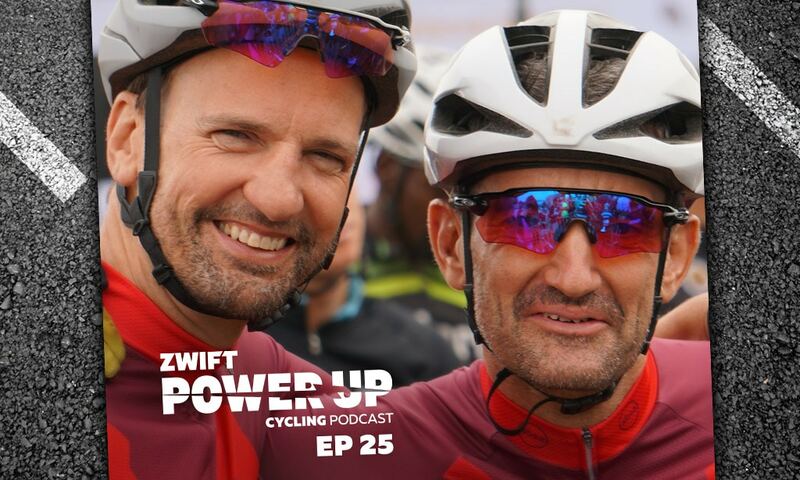 The Zwift Power Up Cycling Podcast features host Matt Rowe (Rowe & King), with regular co-hosts Greg Henderson (Coach Hendy) and Kev Poulton (Powerhouse Cycling). The hosts share tips on how road races can get faster in-game and outdoors. NextDoes the Tour of Watopia Schedule Work for You? Zwift Insider is independent of Zwift corporate (www.zwift.com), although Zwift corporate now provides funding to help defray site costs. This community-driven site is maintained by Eric Schlange and a team of Zwift enthusiasts. This site contains affiliate links to Amazon, Wahoo, and other brands. Zwift Insider makes a small commission on qualifying purchases made from these links, so please shop through them to support our efforts. Our monthly newsletter delivers the latest news plus insider tips, hacks, and interviews. Sign up below!